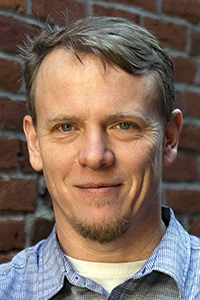 Wes Pope, Assistant Professor and Co-Director of the Multimedia Journalism master’s program in Portland. Pope has worked as a photo, video, and multimedia journalist for more than 20 years, including staff positions at the Rocky Mountain News, Chicago Tribune, Santa Fe New Mexican, Times of Northwest Indiana, Tri-City Herald, and Tacoma News Tribune. He has also worked as a consultant at the San Francisco Chronicle. Before joining to the SOJC, Pope served as a Lecturer in Photojournalism & Documentary Studies at Northern Arizona University. Pope is co-founder of Story Arc Cinematic Journalism Workshop held each summer at the University of Oregon, Portland. Coaches from around the country work with students and professionals to tell stories about individuals and organizations working to make the world a better place.